You have probably heard the old adage, "An apple a day keeps the doctor away." 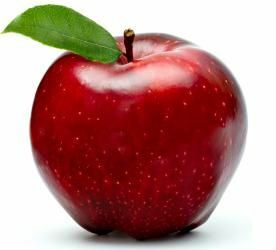 This is actually pretty good advice since apples are a lower-glycemic fruit loaded with fiber, vitamins, minerals and phytonutrients. However, there is a little more to your daily nutrition requirements than eating apples every day! What you eat each day makes a difference! Most of us want to feel well and live a long, productive life. Although you cannot control all of the factors that affect your wellness, you do get to choose what you put in your mouth, and your daily food intake can have a tremendous affect on your ability to live long and well. You already know what is good for you. In general, if you think a food is bad for you--if it has lots of sugar, lots of fat, is highly processed or has no nutritional value--it probably is. If you think it is good for you—fresh, colorful, high in fiber, lightly cooked--in other words, real food—it most likely is. Keeping it simple. One of the most basic principles of eating healthy is that the simple, whole, unadorned foods are better for you than more richly presented dishes and overly-processed, packaged foods. In case you need some help, here is a daily healthy eating plan that is recommended by the USDA for a person on a 2,000-calorie diet, which includes many adults. These amounts should be divided up into meals and snacks throughout the day. Click here for a printable copy of this plan. *Eat 2 cups of fruit each day. *Eat 2 1/2 cups of vegetables each day. *Eat 6 oz. of grains each day. *Eat 5 1/2 oz. of meat and legumes each day. *Eat 3 cups from the milk group each day. *Limit yourself to 6 tsp. from the oils group each day. *Eat 267 calories of discretionary (meaning you choose!) each day. Making adjustments to the plan. 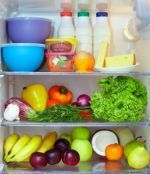 If you are an active person, and need more than 2,000 calories, you can use this daily healthy eating plan as a basis, adding some servings across the board to each group. Conversely, if you need fewer calories because you are sedentary, you can limit the discretionary calories and choose low-fat versions of dairy products and meats. In addition to this basic plan, there are some things you can do to enhance this healthy eating plan, such as choosing fresh vegetables and fruits, whole grains, and good quality fats. A number of health experts recommend that you buy at least some organic products, especially eggs, meat and dairy products. Click here to learn more about organic foods. Whatever you do each day to eat healthier will reap long-term rewards in how well you feel. Click here to go from Daily Healthy Eating Plan page to Healthy Eating Guidelines page.